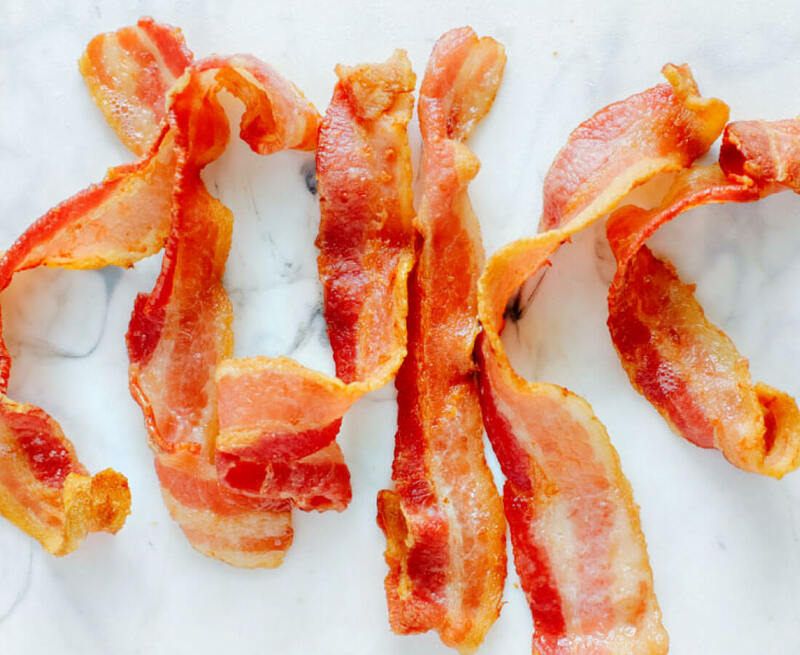 Perfectly crispy bacon in half the time – learn how to make air fryer bacon! Awhile ago I got an air fryer and I’ve been in love ever since. So many things can be “fried” in a much quicker time. 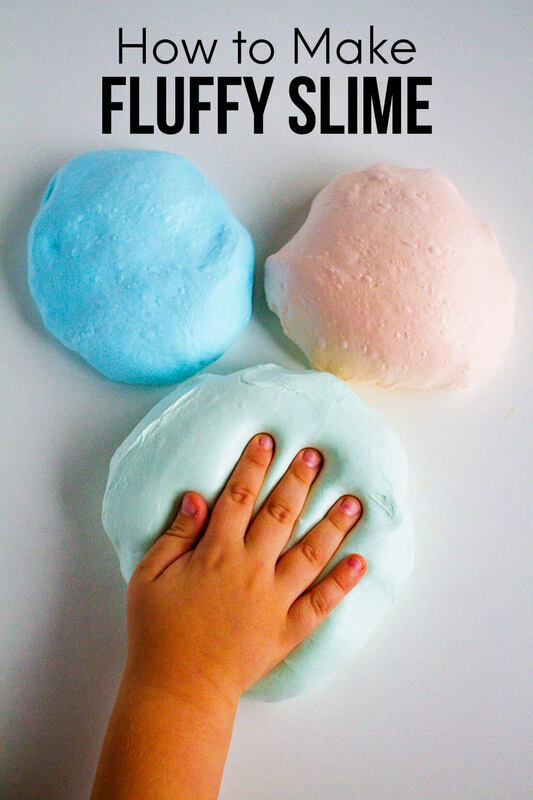 It’s ideal for smaller meals, things you want to make crispy, leftovers, and more. If you’re not sure how an air fryer works, it moves air at a quick speed around whatever it’s cooking. Because of this, it’s important not to crowd the basket. You won’t be able to do a whole package of bacon at once. 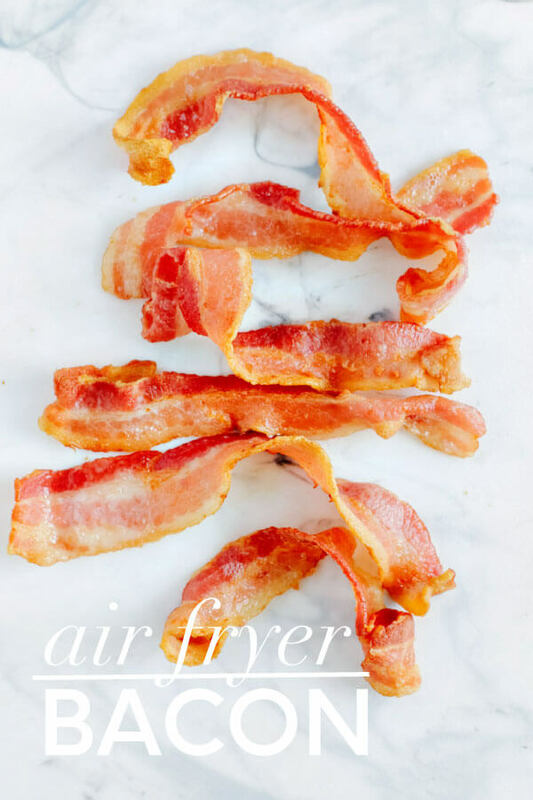 Using the air fyer is best when you need small amounts of bacon – like for toppings, in a breakfast casserole, etc. 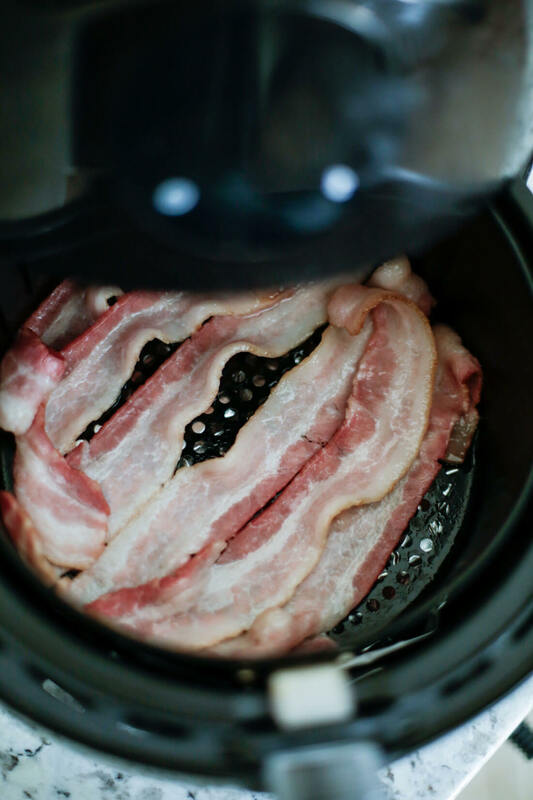 Simply spray the air fryer basket with cooking spray and line a single layer of bacon. 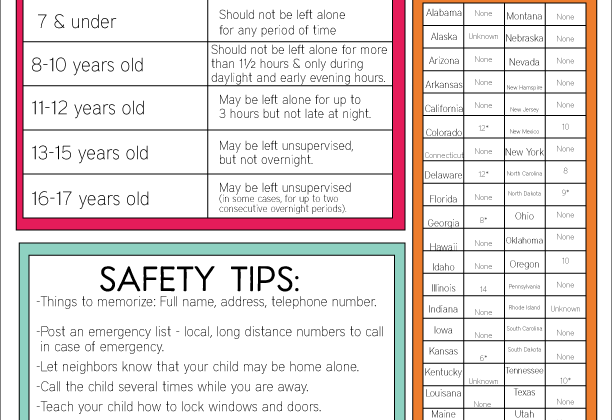 It can be overlapping a little bit, but not crowding. Then slide the basket in, set the time and temperature and call it good. This bacon turned out perfectly crispy but you can make it to whatever texture you prefer. Bacon crispiness is a big debate, I know! 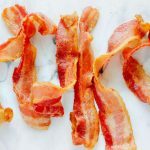 If you love this air fryer bacon recipe as much as I do, please write a five star review, and be sure to help me share on Facebook and Pinterest! 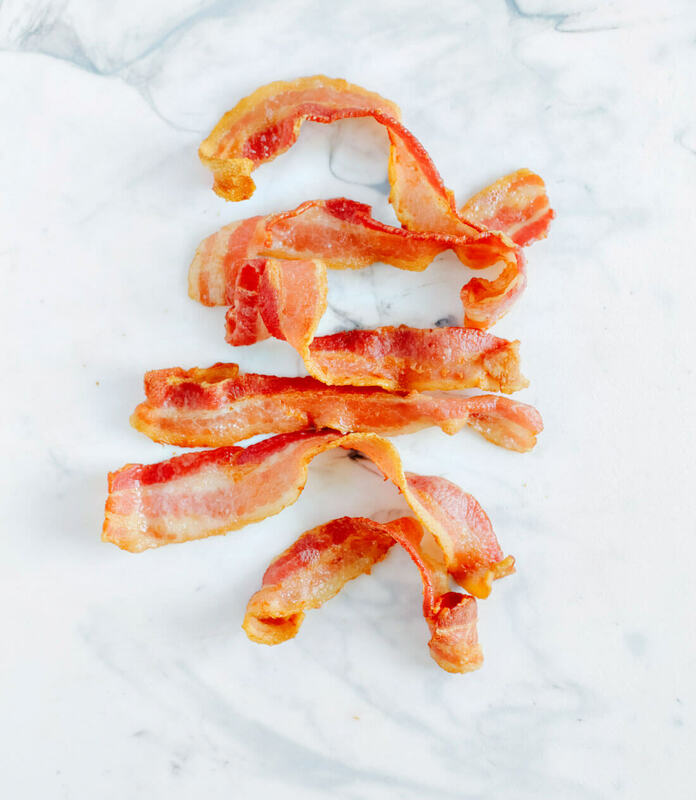 Perfectly crispy bacon in half the time - learn how to make air fryer bacon! 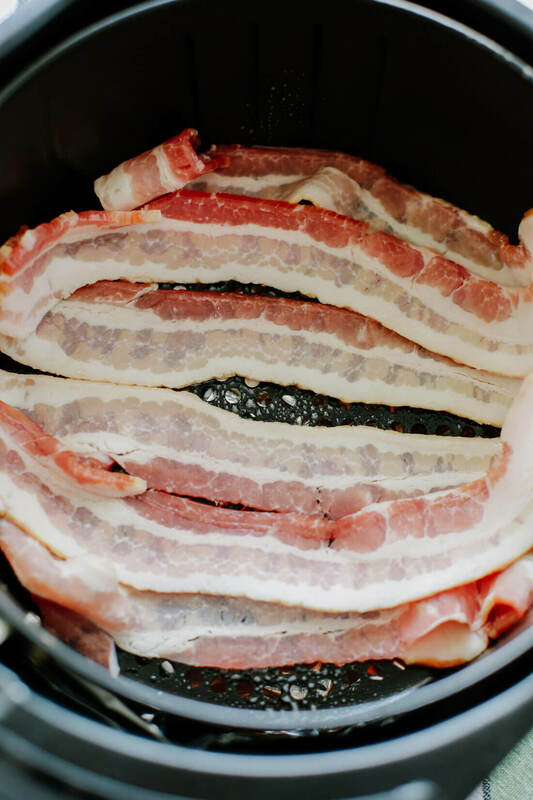 Spray the air fryer basket with cooking spray and line bacon in single layer. Close drawer and set time to 10 minutes at 400 degrees. Half way through the time, pull out basket and shake or separate bacon. Return basket and make sure it continues cooking. After 10 minutes, pull out and lay bacon on paper towel. If you prefer crispier bacon, add another minute or two until desired crispness.